Yay Sunday! I typically do not look forward to Sundays, but I'm excited about today. I'm going to brunch and fun beauty event with some other Central Florida bloggers. I'll be sure to fill you in after the event! steffles shares with us Pretty and Polished's Tart. Sincerely Stephanie shares with us her stained glass nails. 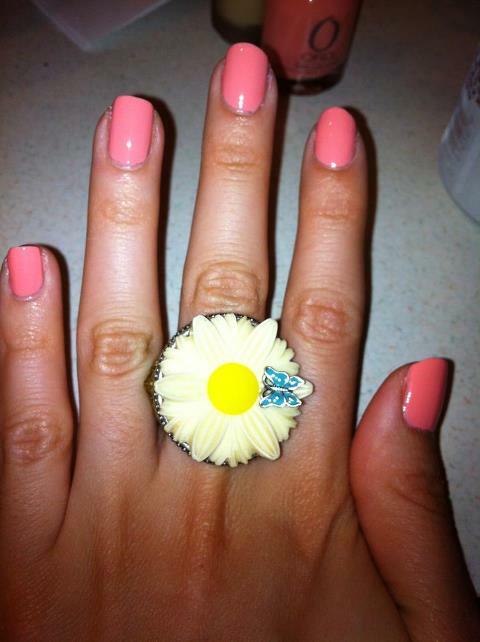 Obsessive Cosmetics Hoarders Unite swatches Essie's Wedding 2012 collection. geniabeme reviews Picasso's hair feathers. My Nail Graffiti shows us her stamped skittles manicure. Polish.Glitter.Rock & Roll shares with us her neon water marble nails. Nails Made Simple shows us her colorful fish eggs nails. Polish Obsession shares with us Cult Nails Let Me Fly. The Lacquered Lady swatches China Glaze Full Spectrum. 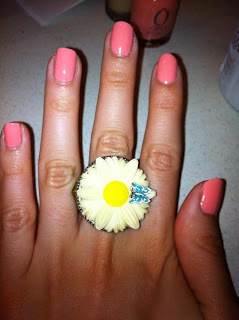 Young and Polished shares with us her Easter nails. Manicure Description: I used 2 coats of the new NOPI Others Pale by Kim-Parison polish and topped it with one coat of Finger Paints Twisted. Favorite Polishes: Sinful Colors Cream Pink, Nfu Oh 61, Revlon Charming, NOPI Kendall on the Katwalk, Rimmel Fever, Girly Bits Razzle Dazzle, Cult Nails Unicorn Puke. You can find information on how to submit your manicures for Sunday posts here. WOOO. I love Mandy's manicure!! Definitely makes me want to run out and buy Nicole by OPI Others Pale by Kim-parison!! These are really nice manicures! One day I will learn how to photograph my nails well! These manis are pretty!! I love flakies over light colors, such a pretty combo. And Orly Cotton Candy is my kind of shade.